The star of our Thanksgiving feast wasn't the turkey, although it was good. It was the pie. 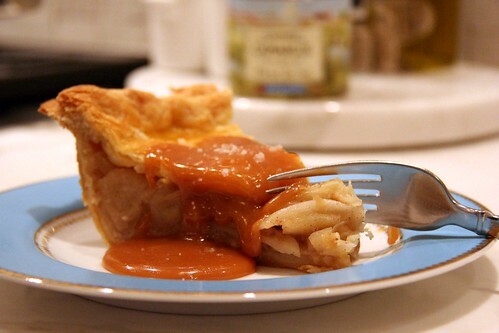 I made another salted caramel apple pie only this time I left the caramel sauce on the side. 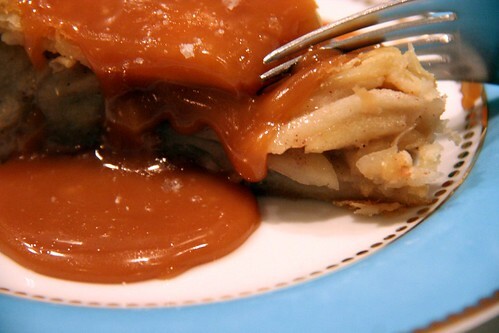 In the original recipe the caramel sauce was poured in between layers of apple. Leaving it on the side was a stroke of genius (if I do say so myself.) 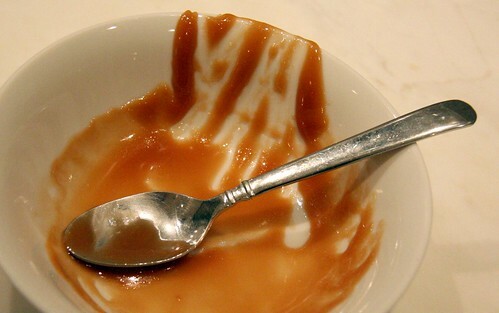 The salted caramel flavor was much more obvious. 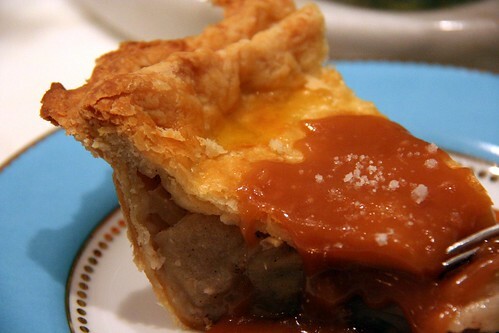 I served the pie room temp and the caramel sauce heated. I finished each serving with a sprinkled of sea salt. Next time I'll heat the pie as well. There will be a next time! The pie itself also turned out surprisingly well. I'm always so delighted when this happens (so lucky it occurred on Thanksgiving.) I don't make enough pies to feel confident in my final product. Each pie I've made is always a bit different. There were 3 key elements that I believe contributed to this pie's success. 1) I cut the apples very thin 2) As per the recipe I sprinkled the apples with sugar, causing excess juice to be expressed from the apples 3) As per the recipe I sprinkled 1 T of sugar and 1T of flour on the bottom of the pie crust before adding the apples. I also used mostly Granny Smith apples this time. Maybe they really do make a great pie. My crust, however, could really be improved upon. I used this recipe which I've used before. This time I felt like the crust wasn't as light and flaky as they could be. Any crust suggestions out there? How were your Thanksgiving desserts? Any winners? I needed this post last week. My apple pie was a major flop! Luckily my pumpkin pie/cheesecake saved the day. And I made a few changes to my cranberry sauce that was super well received. My mouth is watering. Your pie looks soooo good and hard to believe that the pastry wasn't up to scratch - the photographs make it look delicious, light and flaky. This makes me so happy that we are friends because I know that someday I will get to taste this pie!